Since 2002, the members of Wesbury’s resident woodshop have been a valuable staple in the community. At that time, the group included Thoburn Village residents Jack Geddes, Rev. Jack Spencer, Blaine Ohl, and Glenn Rodgers who formed this group using an unused garage on campus. Together, the four woodworkers became known as the Wesbury Woodchucks and created various products for local churches as well as for use around the community. When Ken Montag came to Thoburn Village in 2005, he joined the group, bringing with him 30 years of woodworking knowledge as well as additional equipment to set up for use in the Wesbury Woodshop. Over the years, residents working in the woodshop contributed many projects to the Wesbury community including the wooden cross that hangs in McCracken Chapel at Cribbs Residential Center, elevated planters for resident gardening at Grace Rehabilitation and Health Center as well as products for sale in Wesbury’s Sunset Auxiliary Gift Shoppe. The woodshop was also a location where residents would mentor area students, teaching them how to create projects with wood while working safely with the equipment and tools. Recently, a new group of residents, led by Rev. Dave Davis, were looking to reorganize the woodshop. 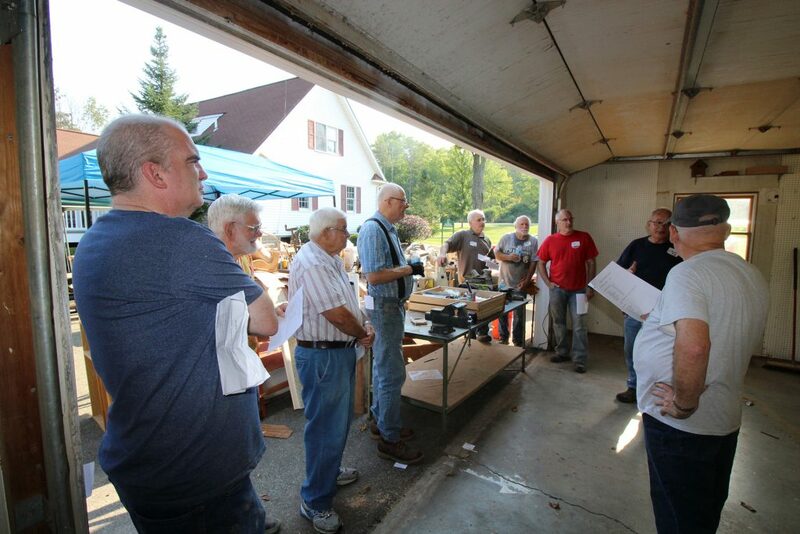 They discussed their plans with Greg Brink, Director of Thoburn Village Activities, and scheduled a clean-up day, where not only the resident Woodshop Committee would be on-hand, but also ten volunteers from area churches, Saegertown United Methodist, Harmonsburg United Methodist, and Park United Methodist/North East, provided support. The project was also greatly aided by Rev. Dennis Balknap of Erie, who has been a great supporter of Wesbury’s wood shop for years after retiring from his cabinet maker business and becoming a United Methodist pastor. Much of his hardwood and equipment was donated to the woodshop. A delicious lunch was provided for the volunteers. 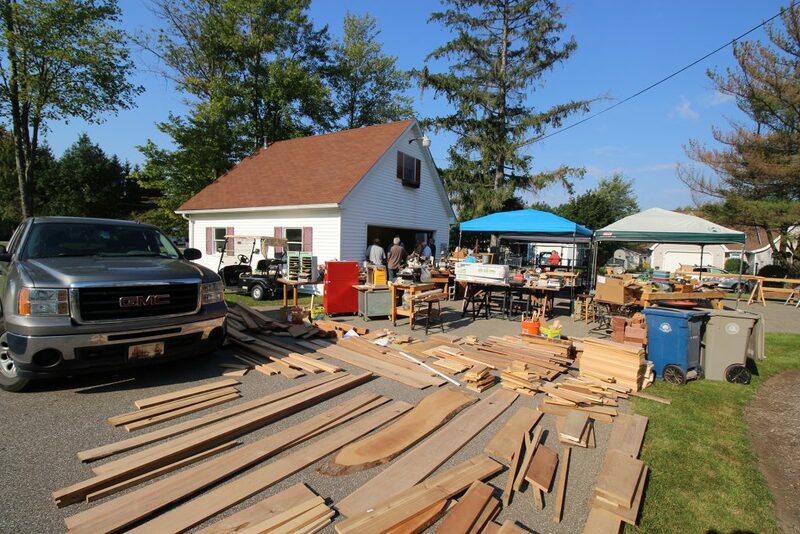 During the clean-up day, all of the wood from the workshop and small adjacent storage building were hauled out as well as all the tools and shelving. They cleaned all the racks and trash bins and looked at reconfiguring all of the larger updated equipment replacing some that had become outdated. This included a new 36″ table saw, a commercial-sized miter saw, a smaller-sized jig-saw, and additional power equipment. This new equipment upgraded safety standards at the wood shop. Wesbury also installed a new efficient heating system, installed new shelving, updated the electrical system, and added new lighting for improved visibility. The wood shop is also now equipped with safety hand-held phones for possible emergency phone calls. The woodshop is open to any resident who can meet the workspace safety guidelines. For the time being, the wood shop crew are meeting weekly as a group, but soon, individuals will be working at any time. The group plans to continue to work on both individual projects as well as meeting any needs that the greater Wesbury community might have. “Our main concern is making sure residents know what they are doing when they are in the workspace, being familiar with the tools and equipment are important. We want residents to have fun in the woodshop, but safety is our number one priority,” says Greg.